Guwahati, March 3 (IANS) — “Today we find Buddhist tribes like the Singhphos in Assam and Arunachal Pradesh believing in witchcraft and sorcery and the followers eating all kinds of meat, unlike traditional believers who are strictly vegetarian and do not believe in paranormal things,” Malini Goswmai, a Buddhist scholar, said. Goswami was speaking at a two-day symposium on “Buddhism in the Northeast – Present and Past” in Assam’s main city. “The changes in lifestyle of Buddhists are a result of direct or indirect cultural influence in the surroundings in which they live,” she said. Although a miniscule percentage of the northeastern region’s 39 million people practice Buddhism, the religion has been followed by various tribes and plains people there from the third century BC onwards. The seminar, attended by monks and scholars from India as well from Myanmar and Cambodia, revolved on ways to maintain the faith in its original form. 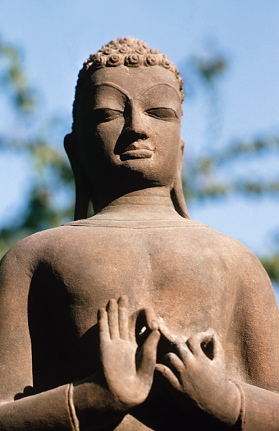 “Considering the proximity of largely Buddhist countries in Southeast Asia, the northeast is supposed to be the gateway for dissemination of Buddhism in India,” said R. Pant, director of Nava Nalanda Mahavira, the highest seat of Buddhist education in India. Experts said the simple lifestyle of the tribal people in the northeast could be a result of the influence of Buddhism on the local population. “The simplicity in dress and ornaments, the austere socio-economic life is all part of the tenets of Buddhism. People may not be direct followers of Buddhism, but then the influence of the teachings is reflected in their lifestyle,” said Bhikkhu Bodhipala, the chief priest of Mahabodhi Temple in Bodh Gaya. “The Buddhists of the northeastern region are not known outside as they maintain a very individualistic life. Maybe interaction with followers of other places might give them a better insight into the religion,” he said.